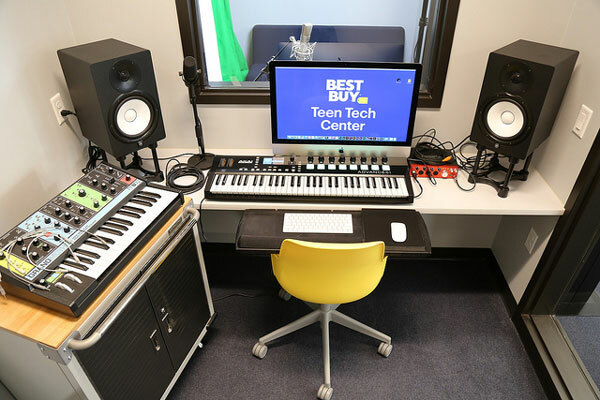 The Teen Tech Center is a drop-in, technology-driven, interactive space for teens ages 13-19 to be creative and develop new skills. It’s a self-directed learning environment where young people, their peers and adult mentors collaborate and learn from one another along the way. No previous experience is needed to come and enjoy the Teen Tech Center. The Teen Tech Center is open 3-7pm, Monday through Friday. It’s located at 21 4th St. E., St. Paul MN, 55101, near the St. Paul Downtown YMCA. Email the Youth Development Manager of the Teen Tech Center, or call 651-447-8103 for more information. To use the space, teens need to become members of the Teen Tech Center, which includes filling out a bit of paperwork, and getting permission from a parent, guardian or trusted adult, if under age 18. Use of the Center is free for teens, and YMCA membership isn’t required. Volunteers are also welcome at the Teen Tech Center. 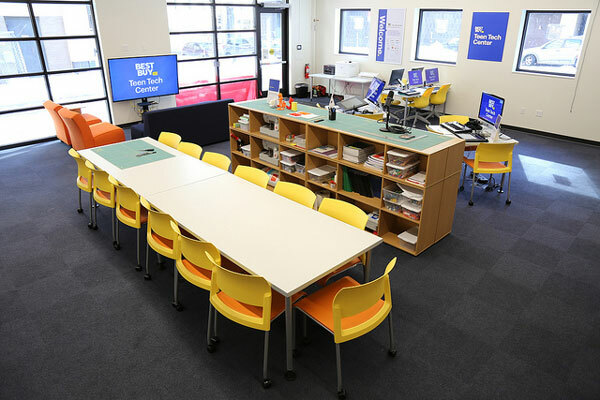 The Teen Tech Center is in partnership with Best Buy and the Clubhouse Network. 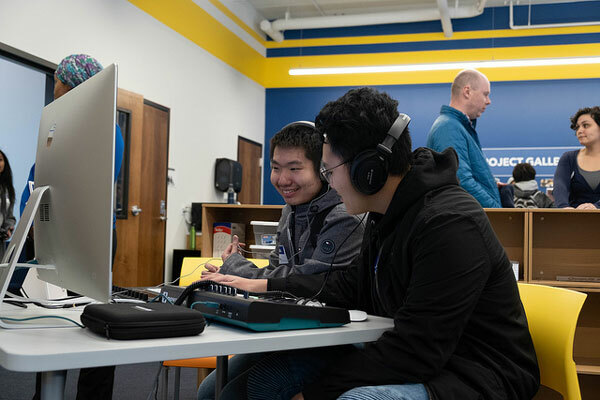 Best Buy donates the equipment and the Clubhouse Network provides youth with access to resources, skills, and experiences to help them succeed in their careers, contribute to their communities, and lead outstanding lives.